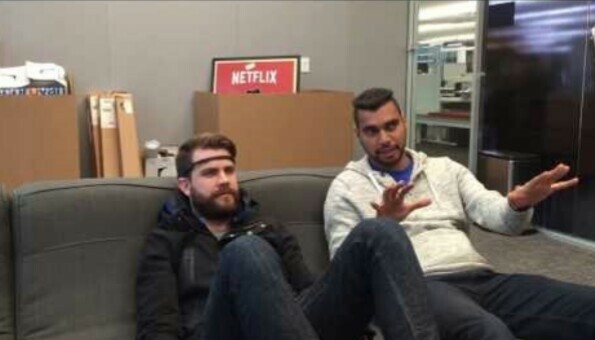 ​In the future, you might be able to control Netflix with your brain. It sounds like sci-fi, but the company is actually testing such a feature right now. As part of its recurring ‘Hack Day’ events, Netflix asks its product team to go crazy with experimenting on new technologies. One of the craziest to come out of the event last week was MindFlix – a way to navigate and control Netflix using your mind. Using a Muse headband that detects EEG (Electroencephalography) waves, you can move your head around to scroll around the UI, and then literally just think of the word ‘Play’ to start bingeing. The future! Obviously, this isn’t meant to be a serious feature, at least not from from the get go, but it could be the first set of baby steps towards the future. I mean, I can certainly see this feature being practical on, say, a VR headset, so I don’t have to find my missing remote or fiddle around with on-headset controls. More practically, it could also make the platform a little more accessible for persons who have physical difficulty using a remote.